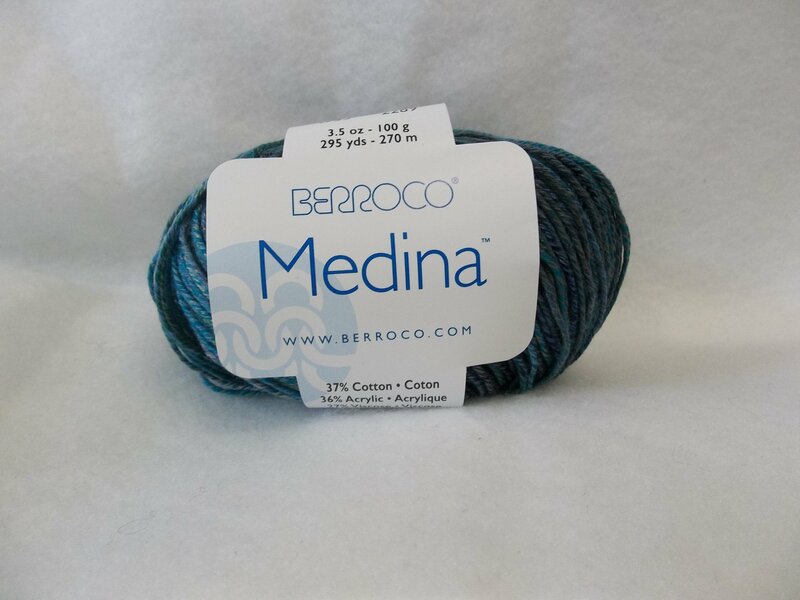 Medina is a sport weight cotton blend composed of 37% Cotton, 36% Acrylic, and 27% Viscose. 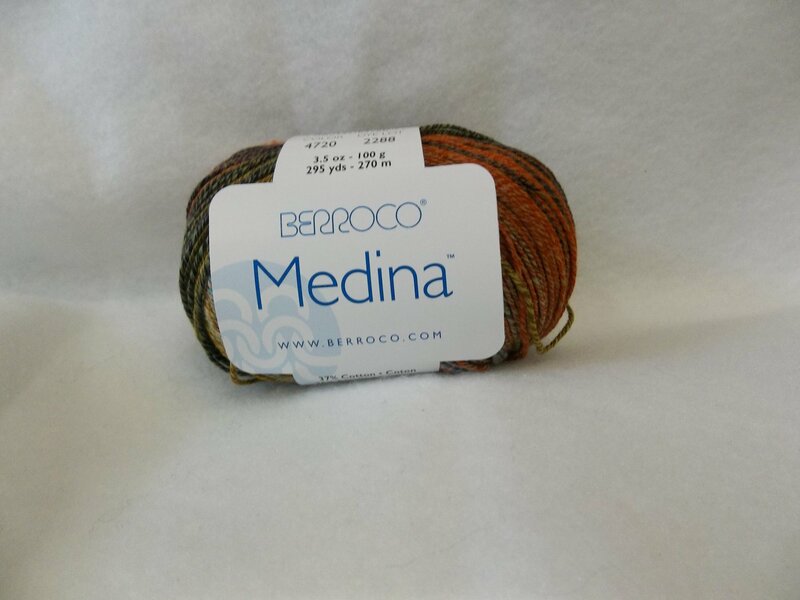 Each 100 gram skein contains 295 yds./270 m. The beautiful colors of Medina graciously gradate. Knit on a US 6, the gauge is approximately 22 sts. and 28 rows to 4 inches. Suggested crochet hook is a USF/3.75 mm. Considered a #3. Machine wash cold and delicate. Lay flat to dry.